St Piran’s Day, so dear to the hearts of Cornish folk, was marked in style by the Grand Bard of Cornwall, Maureen Fuller, in her address to the enthusiastic crowds gathered outside Truro Cathedral at the end of the annual procession through the town. Amid calls for the day to be pronounced an official public holiday, she made an impassioned plea for Cornish schoolchildren to learn about the national history of their homeland. 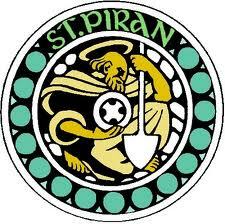 Making specific reference to a special year for Cornwall, the Grand Bard welcomed the long awaited start of new excavations to uncover remains of the iconic St Piran Oratory from the sand dunes near Perranporth. She welcomed the proposed development of new teaching materials, linked to the National Curriculum, explaining the story of St Piran. Amid shouts of “Kernow Bys Vykken”, meaning ‘Cornwall for Ever’, Maureen Fuller concluded her well received message by wishing everyone a Happy St Piran-tide.